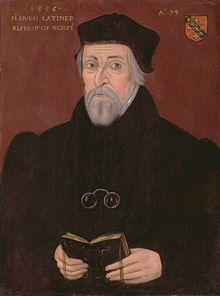 Hugh Latimer (c. 1470 – 16 October 1555) was a British clergyman, Bishop of Worcester, and Protestant martyr during the reign of Mary I of England. He was burnt at the stake. This page was last edited on 29 September 2017, at 16:47.